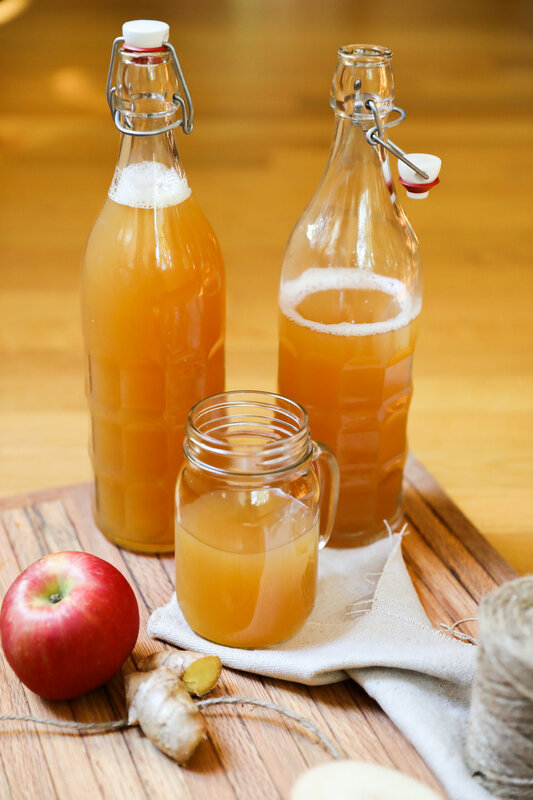 Kombucha is a great health drink that you can dress up with a cocktail or drink simply on its own to just savor the fizzy flavor. This is bound to love on your tastebuds and will hopefully inspire more brewing with our other juices. 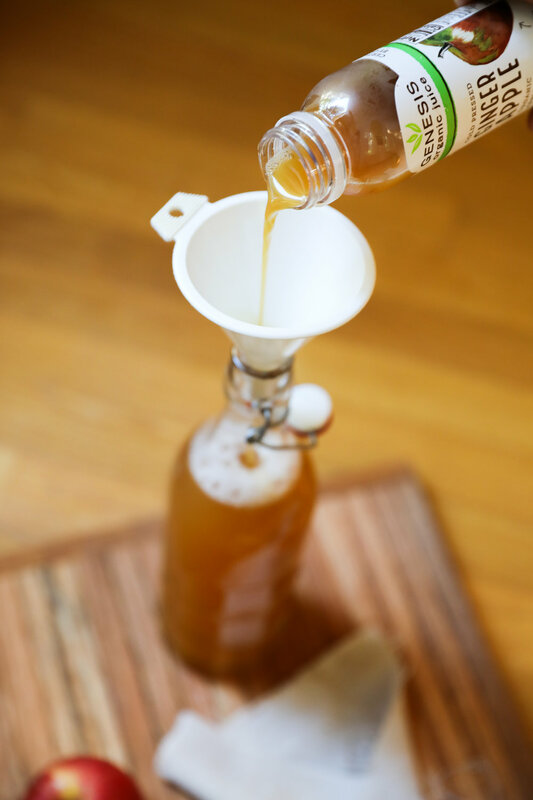 If you have never made kombucha before, follow the steps from Kombucha Mamma for a great how-to. 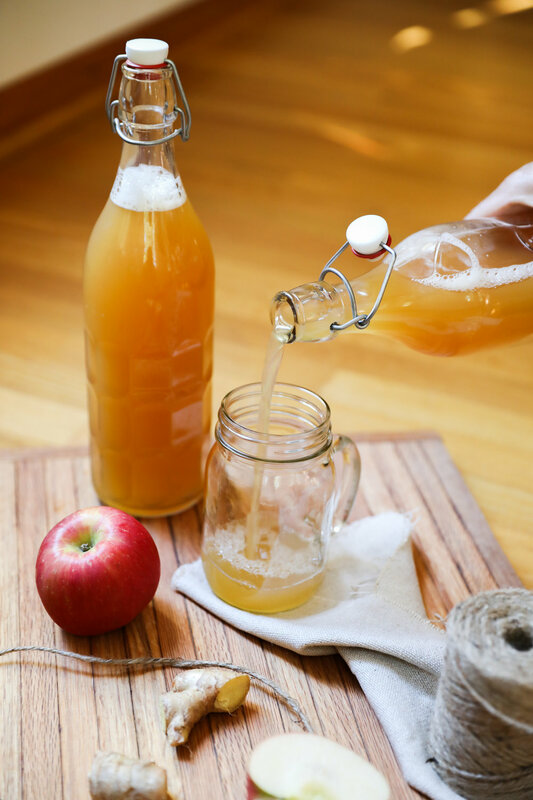 Once kombucha is at the desired taste (some desire it more fermented while others want it sweeter) you will pour off the kombucha into a swing top jar for second fermentation. 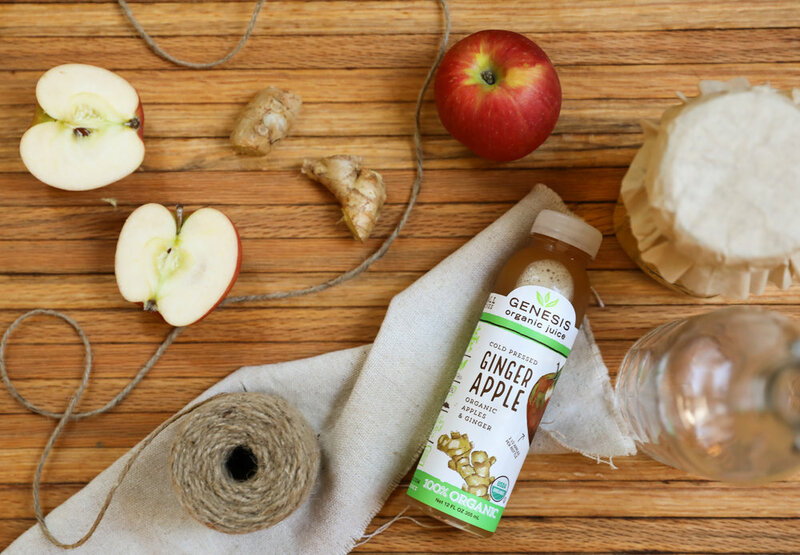 You will want to leave a couple of inches in the jar for pouring in the Ginger Apple juice. 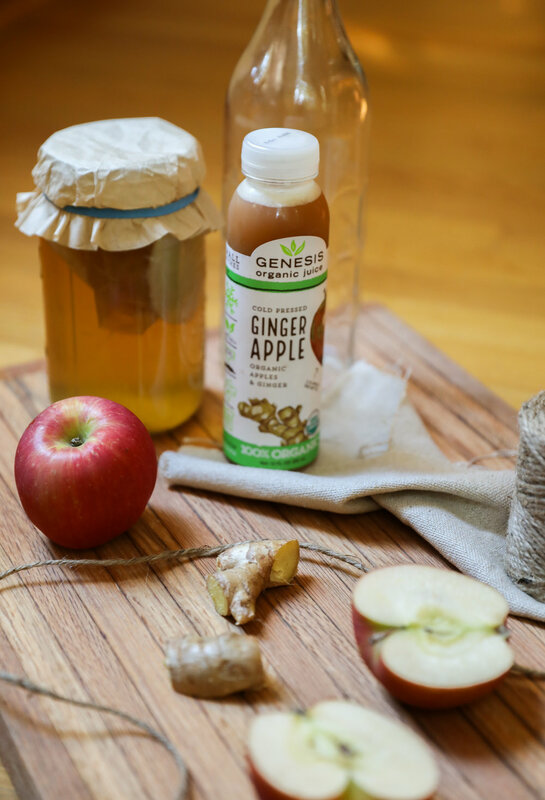 Pour in Genesis Ginger Apple juice then close the top and allow to ferment for 4-7 days. Each day you will want to burp the top (to make sure it doesn't get too fizzy and the top explodes. We like to store it in a plastic cooler in case we forget to let air out so it won't explode). You will be able to watch and see it start to get fizzy by day 3 and then you can pour a little bit out to taste. If it is not quite fermented enough, wait another day or two and test it again. Once it is to the desired taste and fizziness, store it in the fridge so that it does not ferment anymore. Enjoy!